Pirate captain Blade Tyburn is not pleased to find the letter he's been waiting for is missing. He's even less pleased when he discovers the thief is a ravenhaired beauty who bewitches his senses and muddles his thinking. The note gives the location of a silverladen ship that'll make his fortune; Blade must find it, and if that means bringing Marisol along on the voyage, so be it. Marisol believes Monte sails on the very ship Blade is to meet and strikes a deal with the handsome rogue. If he will give her passage to her brother, she will give him the exact location he needs. The love of her life doesn't know she exists. Still, ever the optimist, Mariote Dundotter-McCullum makes a wish on a falling star: to marry the man before her next birthday. Little does she know that someone else is wishing on the same star. At age 11, Alex Sinclair pledges an oath to the Duke of Chatham promising to serve and protect his illegitimate daughter, Lucy FitzHarris. Nine years later, the duke unexpectedly takes Alex up on his vow, offering the future Laird of Balforss his daughter's hand in marriage. Now a man, hotheaded Alex has difficulty convincing Lucy - who would rather starve to death than marry a vulgar Scot - to go through with the arranged marriage. Alex MacKay has roamed the world as a mercenary, trying to forget his shattered past. 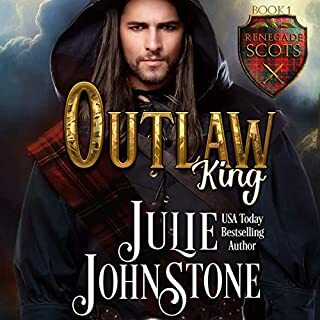 But when he's summoned by his brother to defend clan lands, the very man who betrayed him and married the woman he loved, he's surprised to learn that the spirited Keely not only abandoned his brother on their wedding night, but never returned. 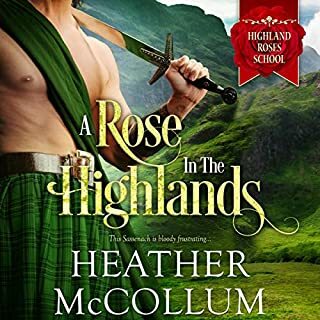 Best-selling author Monica McCarty transports listeners to the 14th-century Scottish highlands in this dazzling novel. Warrior Tor MacLeod is picked by Robert the Bruce to lead the fight against English rule. Despite Tor’s rigid disposition and devotion to his craft, his new bride is determined to warm his heart. The earl of Sutcliffe's son, Daniel, prefers men to women. After two years of marriage to Kathryn Sinclair, Daniel hasn’t produced an heir. Desperate to continue his bloodline, Sutcliffe turns to his illegitimate son, Talon Montgomery. Knowing the prosperous American privateer will never do as he wishes, Sutcliffe arranges for his son to be falsely arrested for piracy. Talon is devastated when he believes his entire crew has been executed. 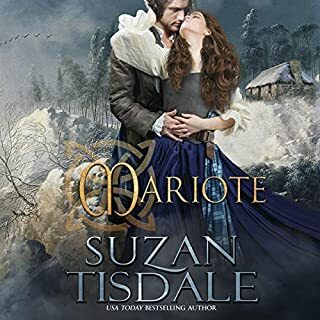 When he discovers Sutcliffe has interceded on their behalf, Talon is willing to do her anything to keep them safe - even seduce his sister-in-law. Summoned from her contemplative life in the abbey, Alexandra Ashford finds herself at the mercy of her malicious guardian, a cousin she fears and despises. He plans to force her to marry his crony and so forfeit her estate. Her only chance of escape is to trust the wounded man imprisoned by her cousin. Taken captive and chained to his torturer's floor, clan laird Ian McGregor is left for dead after a brutal beating. He has little hope of escape. But when his enemy's betrothed offers him freedom and asks for his help, he realizes revenge could be sweet indeed. Pirate captain Thayer Drake lures ships onto reefs for plunder, and business is lucrative. 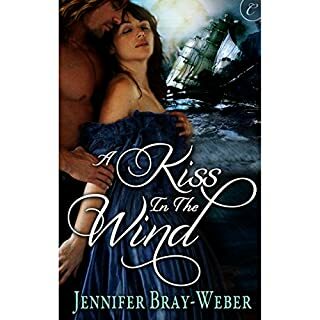 Yet, saving a lass from drowning after her ship wrecks becomes more than he bargained for when the crazy wench dives back into the raging sea for her blasted purse. 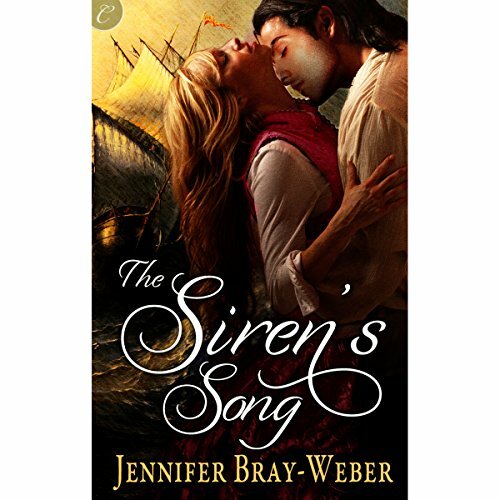 ©2012 Jennifer Bray-Weber (P)2012 Audible, Inc.
A very entertaining swashbuckling adventure. This was a thoroughly enjoyable listen about a handsome pirate who is tortured by his past until he rescues a damsel in distress from a ship he's just helped to sink! Then insists on payment for her passage - but not in money! Romance, humour, good storyline, great characters and a good narrator. Am I happy I spent the credit? - Definitely. If you could sum up The Siren's Song in three words, what would they be? What other book might you compare The Siren's Song to and why? The story flows like a Julie Garwood Historical romance, solid characters, great flow, very clever banter between characters. Have you listened to any of Helen Stern’s other performances before? How does this one compare? I loved Helen Stern's narration of Pride and Passion, and this book is right up there. She has a great voice. My Favourite narrators are Roslyn Landor, Justine Erye, Susan Duerdan AND Helen Stern. This was a great story and well worth the credit!